I had been thinking of our upcoming trip to Napa in May, so this week I sent Timothy an email to find out when the Verite release party date is. The release parties in the past were the Saturday during Fathers Day weekend. 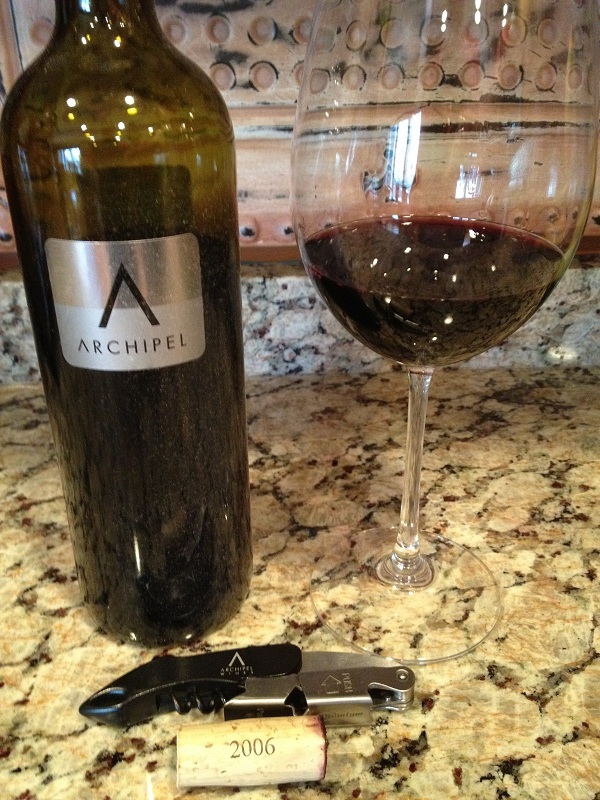 As I wandered down to my cellar, I knew it was going to be a great Friday night so why not enjoy a bottle of Archipel wine! Archipel wine is another label that Pierre Seillan creates. This wine too is a Bordeaux style wine that I truly enjoy. 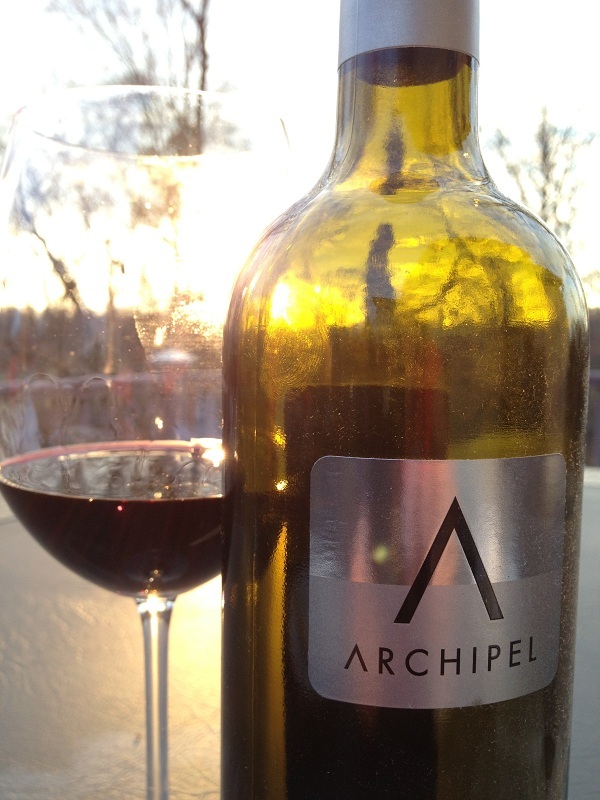 If you aren’t sure what a Bordeaux style wine is, let me tell you. First, Bordeaux is a region in France just like Napa in California. The Bordeaux region is split into two banks (right bank and left bank) by the Gironde river. The right bank of the Bordeaux region is predominantly Merlot and Cabernet Franc. The styles created on the right bank are referred to as Pomeral or Saint Emilion. The left bank has many more styles than the right bank. Some of the styles on the left bank are St Julien, Margaux etc. 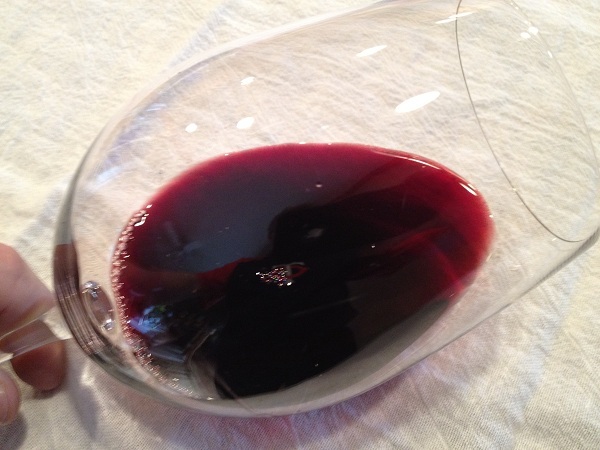 To quickly summarize, left bank varietal is Cabernet Sauvignon and right bank is Merlot and Cabernet Franc. Another interesting tidbit is Bordeaux is approximately seven times larger than Napa valley. The history of Bordeaux is very interesting and I cannot wait to go there in 2013 so I can relate to the styles as I try them. A Bordeaux style wine is created by five varietals of grapes. The varietals are Cabernet Sauvignon, Cabernet Franc, Merlot, Malbec, and Petite Verdot. 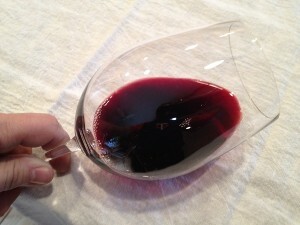 The varietals are blended together to create a style of wine as I mentioned above. The right and left bank have their own style of blending and production levels. For more information click on the Bordeaux link. We had decided to have dinner outside. The weather was absolutely amazing and it was Friday. What else do you need? 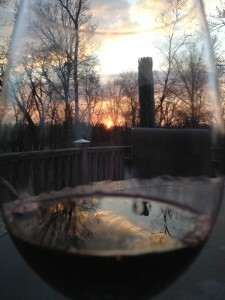 As Chris was preparing dinner on the grill I was anxious to pull the cork on this bottle. As I pulled and examined it, it was pretty clear this bottle could age easily for fifteen years or more. 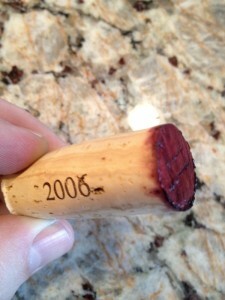 The cork was very firm and it was not rubbery at all. I poured wine into the glass and it had a very nice Ruby red color to it. The “Meniscus” (color on the edge of the wine) was very bright and shows this is a quality wine. I was really looking forward to trying the wine. As we smelled it, it was like smelling the most beautiful flowery bouquet. I have to say I have only experienced the smell of a flowery bouquet from Pierres wines. 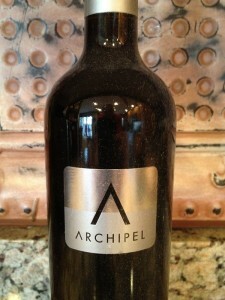 We also noticed Black Cherry and maybe a slight hint of plum and cocoa. As we tasted the wine, the tannins were felt by my mid palate to the edges of my tongue. The finish was very nice. This wine is very balanced. 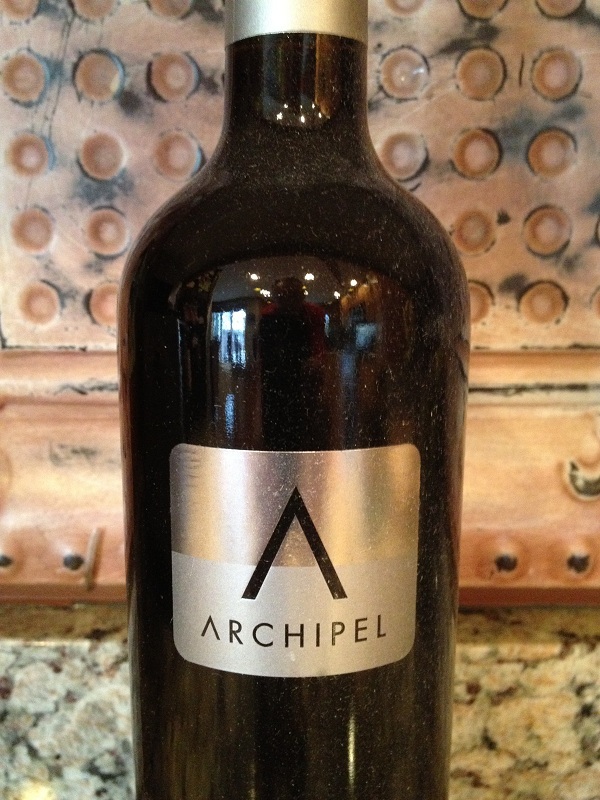 I am thinking that if you decanted this wine it would be more amazing! As the night progressed and the sun started to set, Chris was feeling artistic with her camera. 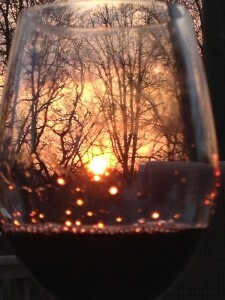 She took beautiful pictures of a glass of wine with the sunset. I wanted to share a few pictures and wished we could have shared the night with our friends in Bordeaux! Both Chris and I rate this four glasses! I would definitely search for this wine online or try your larger liquor stores.